Today, Black Ops 4 receives two new modes. Arms Race will reward players extra points for each kill, providing squads with easier access to scorestreaks and no doubt ensuring mayhem in the process. 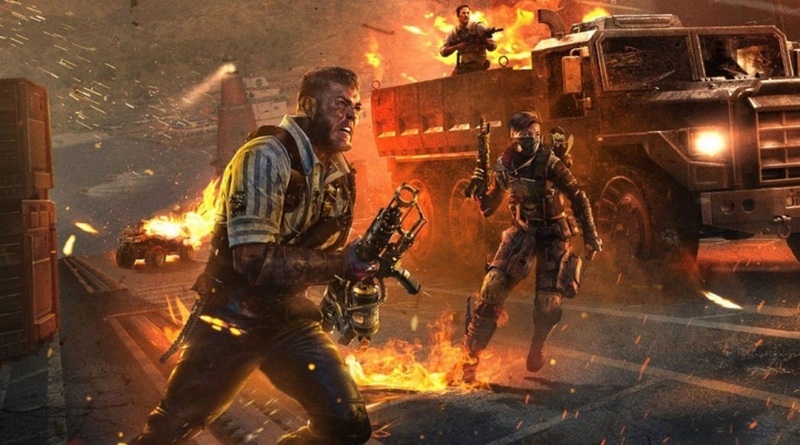 Battle royale mode Blackout is also bringing back Close Quarters Frenzy, which features a much more rapid map collapse, as well as an arsenal consisting of close encounter weaponry such as knives, shotguns and SMGs. From February 14, Black Ops 4 will be getting another double XP weekend. Live across all modes, this event will increase XP and weapon XP in Multiplayer, double XP and Nebulium Plasma in Zombies, and double merits in Blackout. So whichever mode is your favourite, you'll have reason to leap into the grind this weekend. Finally, a mysterious tweet appears to be teasing something new for Blackout, with the tweet featuring the Blackout map suggestively marked off with a series of waypoints. No doubt we'll hear more about this soon.